This is the Signed original Watercolour painting by Clive Uptton. 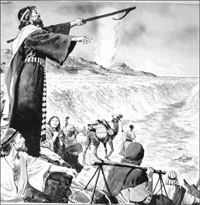 Part nine of the life of Moses as told in Treasure Magazine. 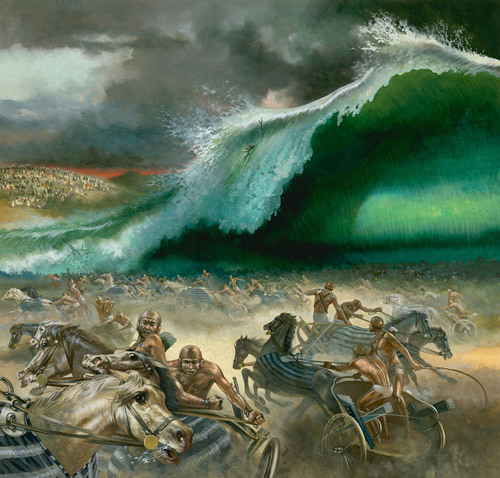 Moses parts the Red Sea as the Israelites escape the Egyptian army. 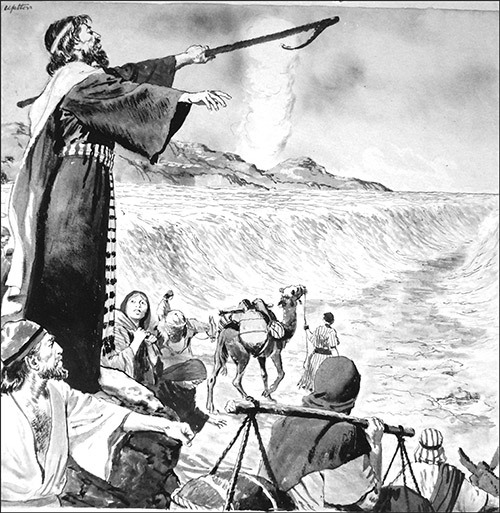 Exodus chapter 14 verses 21-29 21 Moses held out his hand over the sea, and the Lord drove the sea back with a strong east wind. It blew all night and turned the sea into dry land. 26 The Lord said to Moses, Hold out your hand over the sea, and the water will come back over the Egyptians and their chariots and drivers. 27 So Moses held out his hand over the sea, and at daybreak the water returned to its normal level. 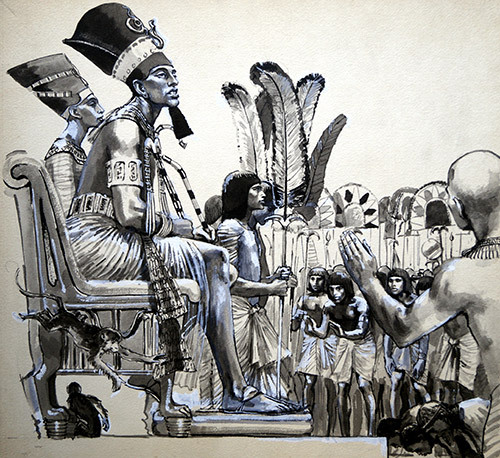 The Egyptians tried to escape from the water, but the Lord threw them into the sea. 28 The water returned and covered the chariots, the drivers, and all the Egyptian army that had followed the Israelites into the sea; not one of them was left. 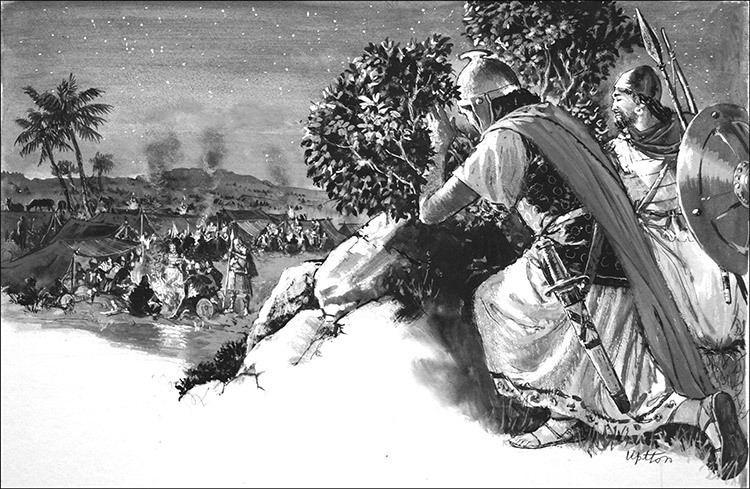 29 But the Israelites walked through the sea on dry ground, with walls of water on both sides. Published in Treasure either for 25 December 1965 or January 1st 1966 as both dates are mentioned on the art board.